Take the chill off the day with this Spicy Grilled Cheese and Tomato Soup Combo. 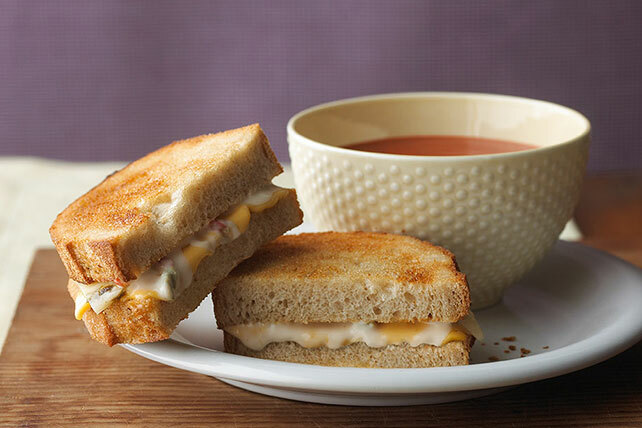 Find out how to make this Spicy Grilled Cheese and Tomato Soup Combo today! Fill bread slices with Singles and pepper Jack cheese. Spread outside of sandwich with butter. Cook in skillet on medium heat 3 min. on each side or until cheese is melted and sandwich is golden brown on both sides.